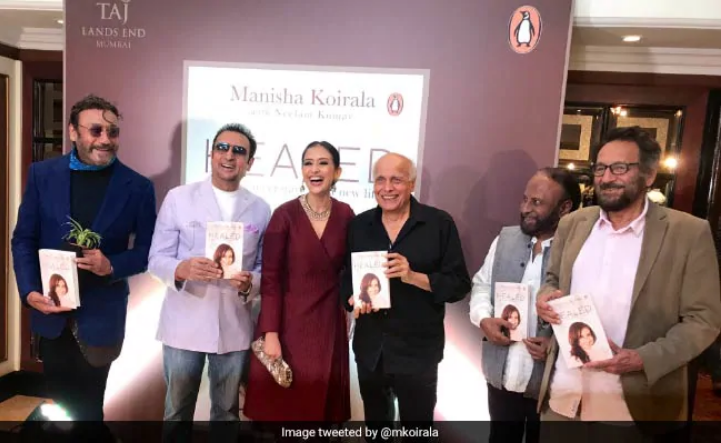 Bollywood actor Manisha Koirala was seen recently during the launch of her own written book ‘Healed: How Cancer Gave Me a New Life’. During the book launch, she talked about famous Bollywood actor, producer and director Rakesh Roshan who is being diagnosed with Throat cancer. The actress prays for him and wishes that Rakesh Roshan comes out as winner. During the event of book launch, she celebrated the completion of her book titled Healed with other Bollywood personalities like Rekha, Mahesh Bhatt, Anupam Kher, Imtiaz Ali, Amruta Fadnavis, Dia Mirza, Jakie Shroff, Gulshan Grover and many more on Tuesday. In the book, the actress reveals her battle against ovarian cancer that got detected in 2012. At that time, Manisha was not sure whether she would live or die, but between several feelings filled with “hopelessness, helplessness, powerlessness,” throughout body, mind and spirit, the actress talks about how her family stayed beside her, thus forming a sturdy support system to conquer any battle against life. For treatment, Manisha went to U.S where she spends her few painful days at Memorial Sloan Kettering Cancer Center. The biggest trauma of her life began with an eleven-hour surgery that extended to 18 sessions of chemotherapy which lasted for about six months. In the book, she mentioned that “…the cancer had spread like a bowl of Rice Krispies all over the organs,”. Along with it, she even named few people who stood by her side all the time, giving details about what little things they did to keep up her spirits. Now, as she recovers, hope and positivity shines through all the dark hours spent by her. The book is divided into three segments: the illness which was fought by her, her Bollywood days, and a short description of her transformation from previous behaviour following a rough guide about how she would like to live differently in future years. 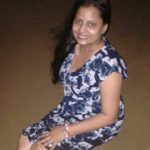 The book shows a powerful, deep and moving personality of Manisha during her fight against ovarian cancer that takes us to emotional roller-coaster ride, surpassing many fears and battle showing how she came out of tough times winningly. 'Prassthanam' director Deva Katta to direct 'Baahubali Prequel' !